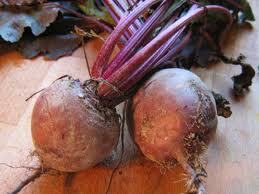 I’ve got this thing for beets. I really do. Not a lot of my friends or family agree with me, but that’s okay, I get more! In a medium-sized pot, combine the first 6 ingredients and bring this to a boil. Reduce the heat. Cover and simmer for 5 minutes. 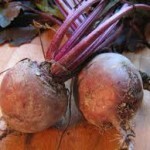 Remove the pan from the heat and add the beets – juice and all. Let stand at room temperature for 1 hour. Pour this carefully into a non-plastic bowl and cover. Chill at least 8 hours or overnight.